"Leila" was conceived by connoisseur Mark Miceli Farrugia, a well-known personality in the Maltese wine & beverage industry. He soon headed a team of experts to bring his dream to fruition. The objective was to develop a unique, gastronomically satisfying, digestive liqueur which tastes good & does you good. In 2004, after six years of endless trials Leila Digestive Liqueur was born. The result was a liqueur that was neither too bitter nor too sweet or too high in alcoholic content and made with an all-natural blend of Mediterranean carobs and aromatic herbs. The carob was chosen as the base for the first Maltese liqueur because carobs have been cultivated in Malta and in the Mediterranean basin for over 4,000 years and are historically associated with health-enhancing and digestive properties. The naturally sweet, almost honey-like carob is rich in essential minerals and salts and is inherently free from addictive or allergenic stimulants. In a nutshell, the carob soothes both the stomach and taste-buds with no undesirable side-effects. The name "Leila" was chosen as it is a Semitic word, meaning "evening" and a word that sounds well in different languages. It is also used as a name for females in the Maltese islands and in neighboring Mediterranean countries. Leila`s imagery is a colourful portrait of a beautiful Maltese girl in traditional costume painted by Maltese talented artist Debbie Caruana Dingli. Following the success of Leila's Digestive Liqueur, the original team of experts joined forces with the expertise of Savina Creations Ltd to further develop Leila's range of premium liqueurs in keeping with the Maltese theme and traditional tastes and heritage. In 2016, "Amaretto", a bitter almond liqueur, and "Limoncello" a zesty lemon liqueur, were launched in Malta. The choice for both these new liqueurs was easy. Lemons and Bitter Almonds are plentiful in Malta and in neighboring Mediterranean countries and both have pleasant and unmistakable aroma. Production of these liqueurs is still artisan, crafted in small batches and patiently aged until the infusion of the various aromatic herbs and fruits with the alcohol syrup bring out all the genuine Mediterranean flavours. This lengthy process and all the bottling of Leila liqueurs is now carried out in Gozo at the Cellars of the Savina Creativity Centre. Developed by the Leila team, “Tikka Bitter Red” is Malta’s own aperitif. As an aperitif, Tikka Bitter is an alcoholic beverage ideal to serve before meals to stimulate the appetite and is therefore slightly dry and bitter in taste. Tikka is a semitic word meaning 'little'. This name was chosen for our aperitif because a tot of Tikka Bitter Red brings out a distinctive taste even when mixed with other alcoholic beverages and mixers. This alcoholic drink is obtained from the infusion of bitter zest and natural essences which is in-keeping with the Maltese palate. 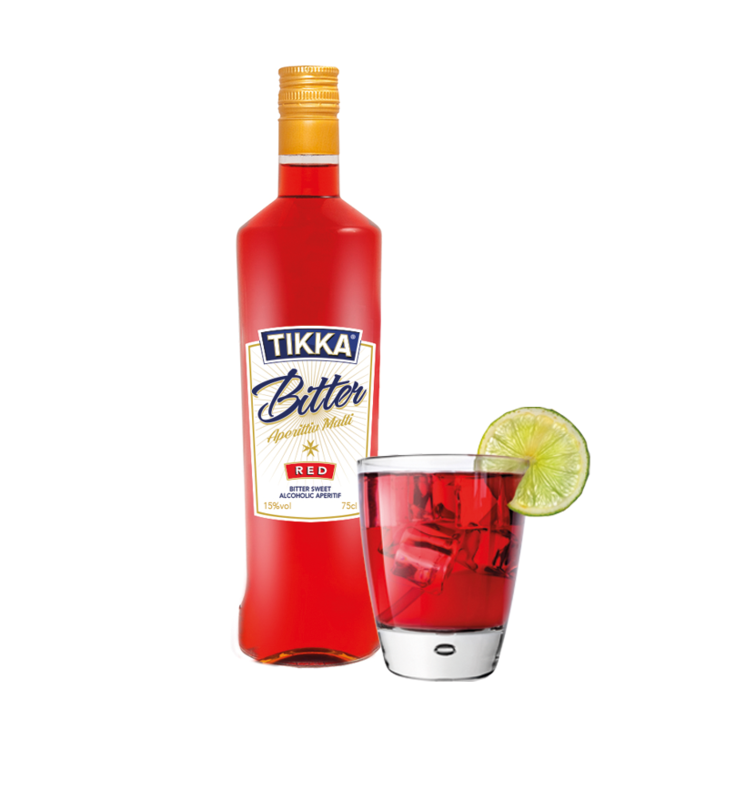 With its vibrant red colour, intense aroma & flavour, “Tikka Bitter Red” aims to intrigue and pleasure the senses, to create a truly captivating drinking experience. There’s always a good excuse for a “Tikka” party! © LEILA. ALL RIGHTS RESERVED. To access our website you must be of legal drinking age in the country where you are. We discourage abuse and inappropriate consumption of alcohol.